How do you know if a Chinese restaurant is authentic? When Asian people actually eat there! Located in the heart of the Central Markets, T Chow has been serving good chow for well over a decade, and offers all your traditional Chinese dishes. The staff here are friendly and inviting, and the service was pretty good. As a group, we came here for yum cha. Our dishes were pre-ordered, so everything came out at the same time. This was convenient as I had to rush to the Cirque du Soleil show after lunch. There were so many dishes, there was hardly any room on the dining table. The Har Gow was delicious and perfectly cooked. Biting into a whole juicy prawn was delightful. The Pork dumplings were pretty good. Lightly browned on either side with a well marinated lean pork filling. The Salt and Pepper Squid was OK. The squid was slightly overcooked, and a bit too much salt as added. The Birds Nest Prawn Balls were a challenge to eat. It was like trying to put a porcupine into your mouth with the prickly noodles poking out, but once you got to the prawn ball, it was worth the effort. The fried noodles were oily and a bit bland. They really should have taken the extra salt they put on the squid and added it to the noodles. T Chow has been around for a while so they obviously know what they’re doing. 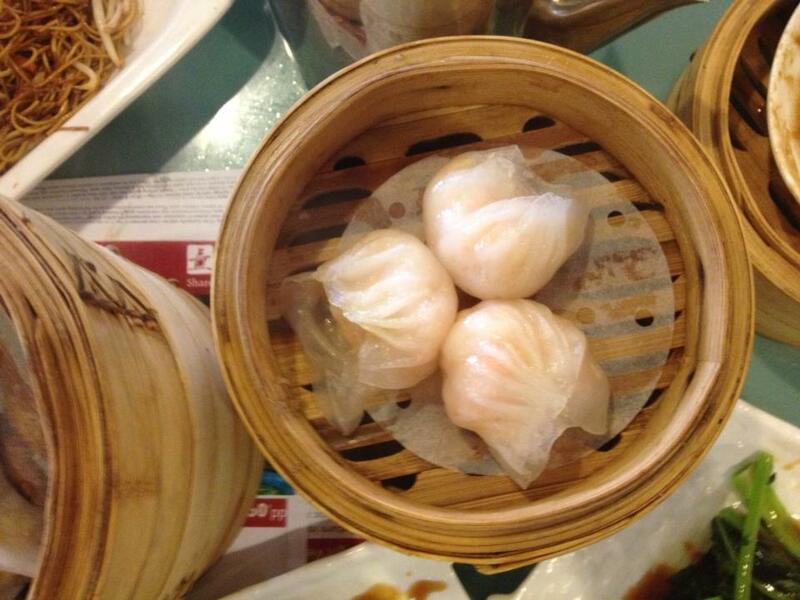 It wasn’t the best yum cha I’ve ever had, and to be kind, I thought it was slightly above average. I probably would come back to this restaurant, but more than likely for one of their traditional dishes.